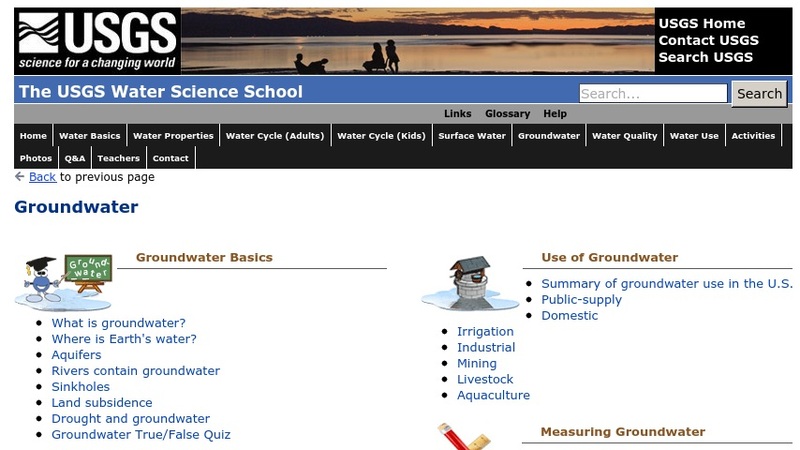 This is part of the U.S. Geologic Survey's Water Science for Schools website. It consists of a set of links to other parts of the site dealing with groundwater-related topics such as groundwater flow and distribution, trends in groundwater use, importance of groundwater, and groundwater quality. Graphic illustrations and photographs are provided.